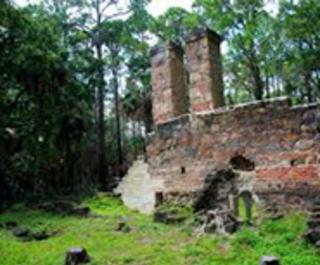 Located on what was known as the Dummett Plantation, a mile west of present-day Tomoka State Park, these ruins are what is believed to be the first steam-powered cane crushing sugar mill in the area. 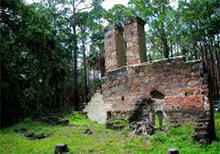 In 1825, Colonel Thomas H. Dummett, planter and officer in the British Marines, acquired the plantations of John Bunch and John Addison, part of which had originally been John Moultrie’s Rosetta plantation on the west side of the Tomoka basin. His total plantation was about 2,000 acres.